A kitchen isn’t just about cooking, foods, food containers and food-making appliances. While cooking food, you have to take a lot of help of your water resource, viz. your sink! If your sink faucet is not proper, you have to face a lot of mess during your culinary activities. 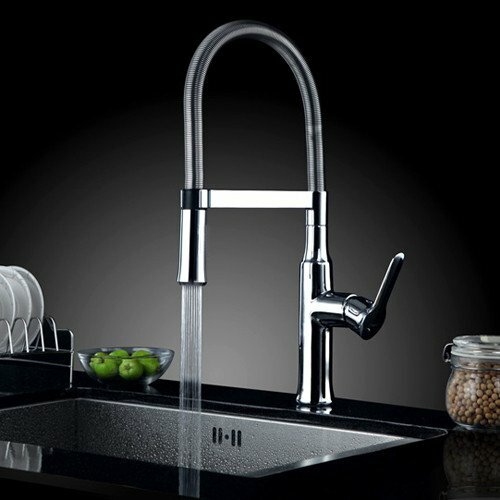 If you want to maintain a perfect order in your kitchen, it is equally important to have a perfect kitchen faucet as it is to have all your appliances in perfect condition. But, how will you achieve that? Here are some useful tips on what to consider while buying a perfect kitchen faucet or faucets. Remember that the faucet to which you are not really attentive works hard and undergoes a lot of wear and tear; therefore durability is an important factor to consider. If you want a durable kitchen faucet, you should know of what materials faucets are made. Actually though they look as if they are made of various materials, most of them are made from brass. They are then given various types of finishes, like gold plating, powder-coated enamel and more. While making wholesale kitchen faucets, their parts may be fabricated – machine pressed or stamped – or cast in molds. Since brass is made of lead, zinc and copper, very small amounts of lead can enter drinking water, which is a health risk. To reduce this risk, the Safe Drinking Water Act makes it compulsory for faucet makers to use not more than 8% of lead in brass faucets. Techniques which can still reduce this amount of lead into faucets are being worked upon. Usually faucet finishes include brushed and polished chrome, gold, high-gloss, antique brass, satin and powder-coated decorative colors like black, white, red and gray. 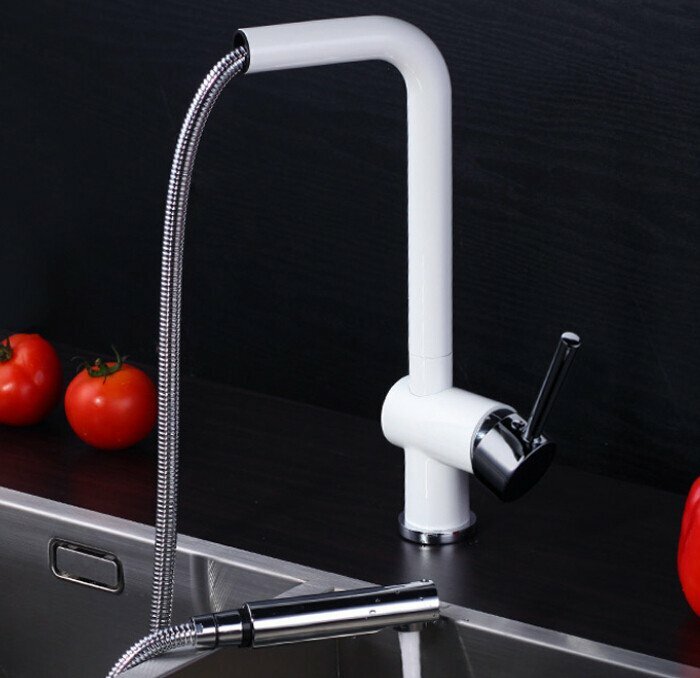 Powder-coated colors are applied electrostatically and baked and so, they provide a durable finish that can last throughout the life of the faucet. Nickel plating is applied on brass faucets before applying a coat of brass plating. In case of a high-gloss brass finish, a clear coat is applied in factory that can save you from a bi-monthly routine of cleaning and polishing. Even chrome faucets are nickel-plated before the application of chrome, but since chrome doesn’t blemish like brass, it doesn’t need coats. There are three basic styles with which faucets are made. 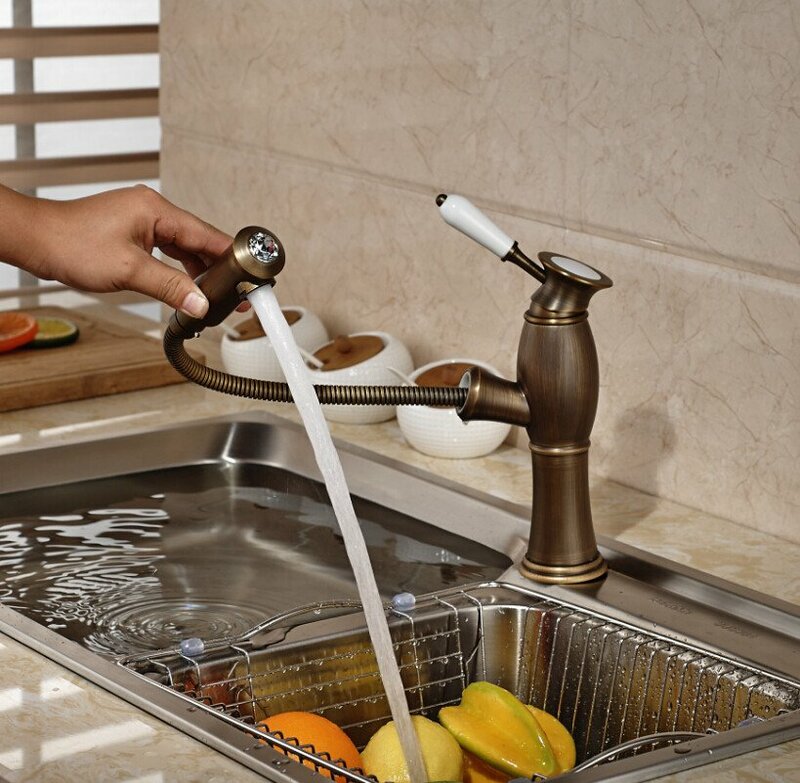 The single-handle is the commonest type for kitchen faucets as you mostly need to operate it with one hand. This faucet allows you to control cold and hot water by one knob or lever which is usually part of the spout. The other two, two-handle and widespread, are rarely used in kitchens. Look carefully at the configuration of your sink or countertop’s hole before you buy the faucet. 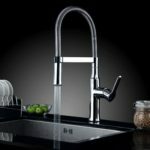 Visit 123Wholesale.org to watch an amazing range of kitchen faucets. Look at some of them in this article and many more on their site.